There are a few invisible-but-essential materials that you’ll need if you are going to sewalong with me in April. Here are some notes on what you’ll need in advance, so you have plenty of time to source the right stuff. Choosing the correct fusible interfacing is critical to the success of a tailored jacket. The correct type will add body and stabilise your fabric while retaining it’s inherent characteristics, the wrong type will convert your fabric into an unnaturally rigid version of it’s former self! There are several different types of fusible available, and I can’t emphasize enough how important it is to test, test, test! However so you don’t use up all your precious tailoring fabric on testing, I’ll show you what I regularly use in my jackets to get you started. 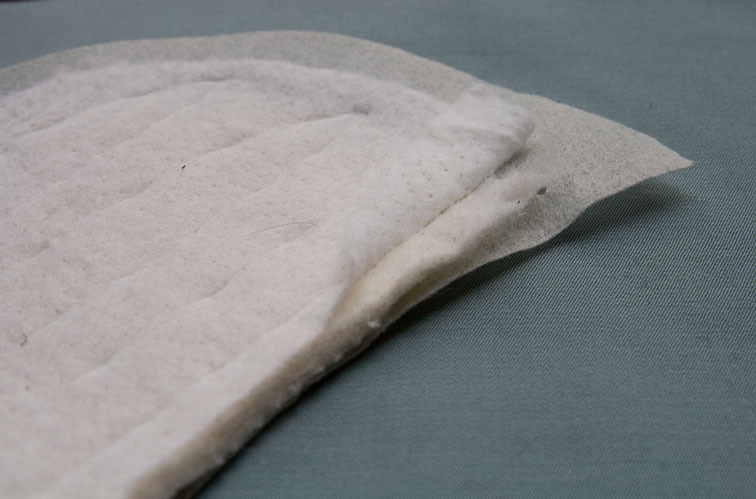 This one is a medium weight interfacing, and it is very soft and supple. It gives your cloth additional body but retains it’s soft handle. The non-fusible side is slightly fluffy which helps to reduce pressing impressions. I use this one on most of my jackets and coats. I use this lightweight knit fusing on lighter weight jackets such as silk, and also on wool/elastane where I want to retain a degree of stretch. It bonds really easily using a domestic iron too, whereas the weft fusing requires a bit more attention. You can use both types in the one garment if you wish, as well as double fuse some areas for additional body. Whichever fusing you choose to use, you need to fuse test your fabric. If you are trying it for the first time, I think you need to fuse a 30cm square to get a good appreciation of the finished handle – drape it against your body as if you were wearing it and assess its performance. You should receive fusing instructions with your product when you purchase it, so follow those. It is imperative to get a good bond between the fusing and your fabric otherwise it will delaminate at a later date and your jacket will be a waste of time. If you are not getting a good bond experiment with the time, temperature, steam and pressure – these are the parameters that count. There is no strike-through, ie resin shows through to right side of fabric, if so try a lower heat or a fusing with less resin. This is really only likely in very lightweight fabrics rather than tailoring fabrics, but I thought I’d mention it anyway! There is no colour difference between fused/unfused areas, which may occur on sheer/loosely woven fabrics. Heat may cause a temporary colour change too. 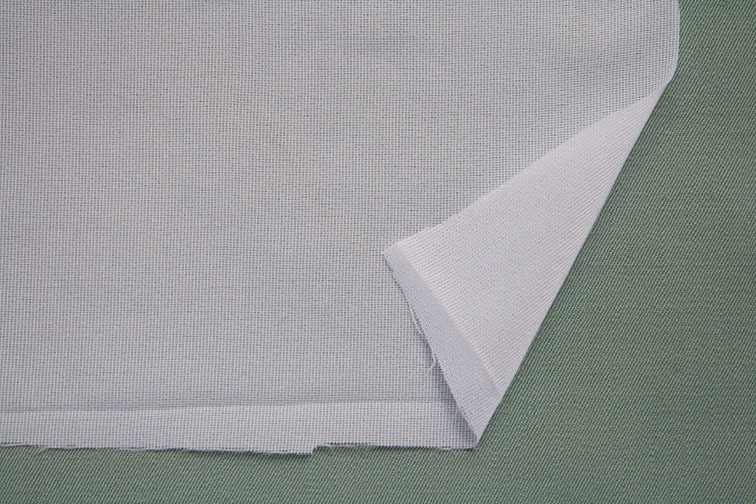 There is no texture difference between fused/unfused areas, which may occur on textured or pile fabrics. If so the unfused pieces may need to be pressed in the same manner for continuity. 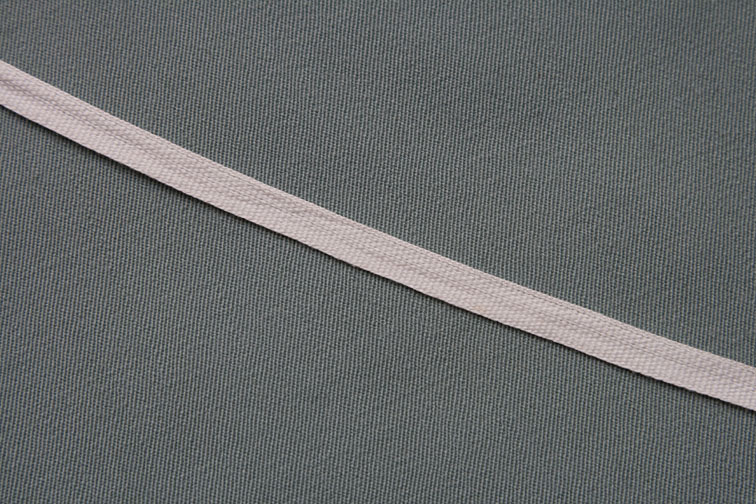 We will also use fusetape in the sewalong, but you don’t need to rush out and buy any special products – I cut my own strips from lightweight knit fusing (it’s a good way to use up those pesky scraps!). Cut them along the lengthwise grain 1cm wide and as long as you require, as you’ll want to avoid overlapping joins where possible. I like to use Bemberg 100% viscose lining in my jackets. It is slippery so your jacket slides on and off easily, and it feels nice next to the skin. It breathes better than other manmade fibres, and lasts a lot longer than acetate linings – which degrade too quickly to be suitable for a jacket in my opinion. It is composed of three layers – an inner wedge of cottony wadding which is needlepunched to the inner wadding, and then basted to the outer layer. I have square shoulders so I need to keep my pads slim, this one is 7mm at its maximum thickness. 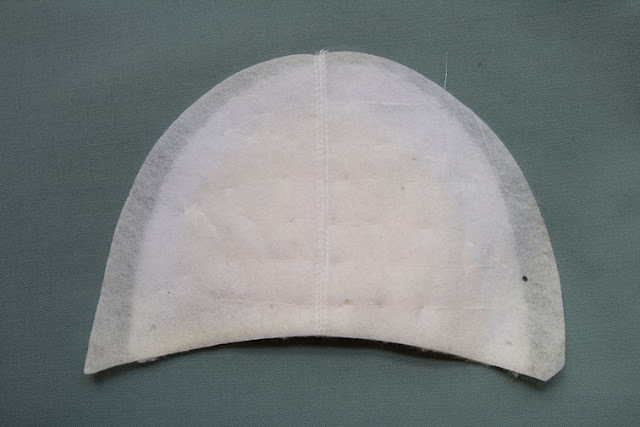 This pads out the sleeve head around the shoulder pad so it is smooth and rounded. I use a 3mm thick wadding with a foam core, which is lightweight, soft, and flexible. It is available precut in boomerangs but it is better to cut it to a custom shape. Actually I think most tape is poly/cotton these days, but still preshrink it under as much steam as your iron will output. That’s it – if you start gathering supplies now you should be all sorted for our start date on 1 April! I'm not ready for a jacket quite yet (we're headed towards spring/summer here) but I have multiple jackets planned for F/W 2011, so I'm going to be following the sewalong closely. I found the post above to be incredibly helpful already. So excited about this! Thanks for doing it! This is very helpful. Good thing I never tried a tailored jacket before. I wouldn't have had the right “ingredients”. I'm going to have to do a bit of online research for shops. Do you recommend any stores? Thank you, I'll get right on it. This is really helpful information – thanks! I really want to join in the sew-along (if I have the time) but I'd quite like to do it with a pattern from the built by wendy coats and jackets book, which doesn't come out in the UK till the 1st April, which doesn't leave me a great deal of time for pattern-cutting/muslin-sewing. Could I join in a little bit behind everyone else? I'm a terrible sew-a-longer but I'm seriously considering joining as a blazer is desperately missing from my wardrobe and I love your tricks of the trade. Just wondering if you would mind sharing where you buy your supplies in Auckland? ~ a little sewing – I'm looking forward to following your progress on the gown! 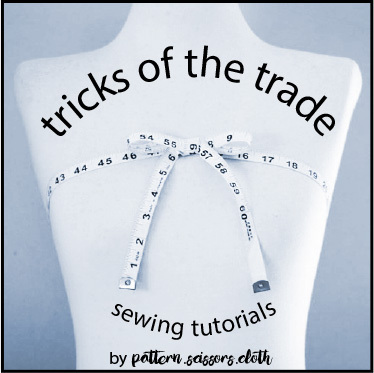 ~ Susan – I'm not in the US so can't recommend any stores personally, however I have read a lot of bloggers think highly of Pam's products at Fashion Sewing Supply. ~Trixie – yes, that's fine! ~Alana – Global Fabrics have that exact weft fusing – I saw it the other day! I'll get back to you on shoulder pads and wadding, you might find suitable wadding at a quilting store too. How much of the jacket do you interface please – am I likely to need as much interfacing as outer fabric, or are we just interfacing collars and facings?? Good question Kate! We will be interfacing everything except the backs and the sleeves, but we will interface the hems of these pieces, so you will need slightly less than the jacket itself. Better to have too much than too little! Thanks for a very informative post. I have all the materials already 🙂 However, I tried to lay out my pattern pieces on the fabric yesterday, and realised that there isn't enough fabric (10 cm more would have been enough). So I have to make another pattern or find another fabric. I really love your blog and just used your tips on sewing a cuff for a shirt–really saved me a lot of time (from trying to figure out the Burda instructions)! I'd love to join this as I have a jacket pattern in my queue, but I fell woefully behind when I joined the Lady Grey sew-along. I finished it, eventually! I fused the entire thing so can definitely recommend the weft interfacing at Fashion Sewing Supply. It's very soft and easy to fuse. 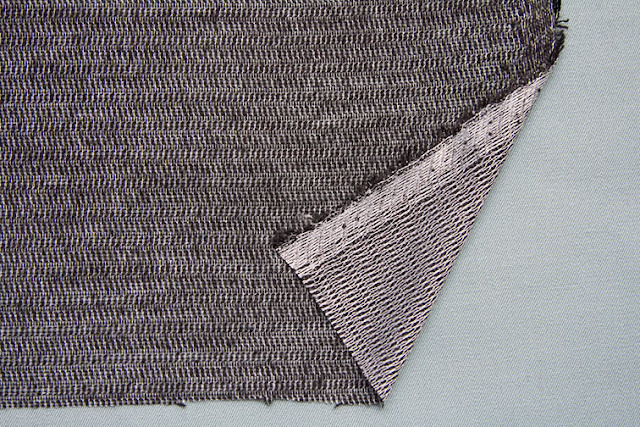 There is also a weft interfacing very similar-looking to yours at bblackandsons.com. Both are U.S. suppliers but may ship internationally, too. I haven't been able to find any of those boomerang sleeve heads here, though, and would love to see how I could make them myself. ~melissa – the fusing is a weft-insertion type – I'm not sure of the exact brand as I buy from a local wholesaler, but I do know it is made in Germany if that helps! ~Gry – I hate it when that happens!! 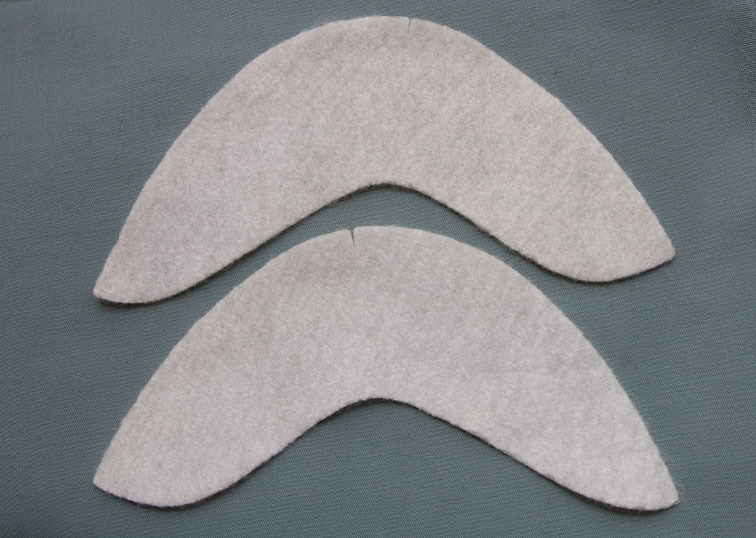 ~Amy – You can substitute with any thin but cushiony wadding, and we will cut them to the right shape in the sewalong! Any ideas on where to order thin shoulder pads like the ones you've shown?